A rich, luscious bouquet of deep red Chrysanthemum blooms and velvetly red Roses, neatly nestled along side beautiful Cobra Lilies. Courier delivered products available for delivery within mainland Ireland only. Vase not included unless otherwise stated. 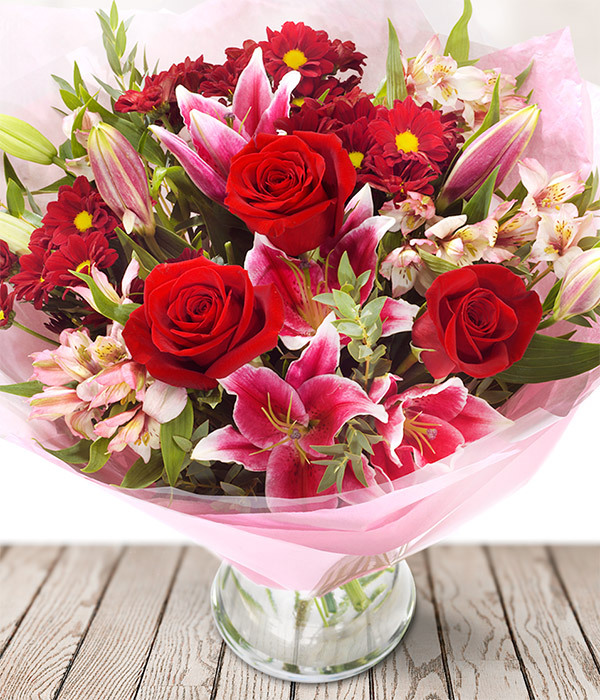 To ensure delivery, please provide a local (Irish) telephone number for the recipient.